The meeting took place as Belarus' capital Minsk hosted the latest leg of the FIG World Challenge Cup. Lukashenko has ruled the former Soviet Republic since 1994 and was re-elected as President of the National Olympic Committee of the Republic of Belarus (NOC Belarus) in May. During the meeting, Watanabe reportedly claimed that Belorussian athletes can win a number of medals at Tokyo 2020 but he believes efforts to develop gymnastics in the country must increase. 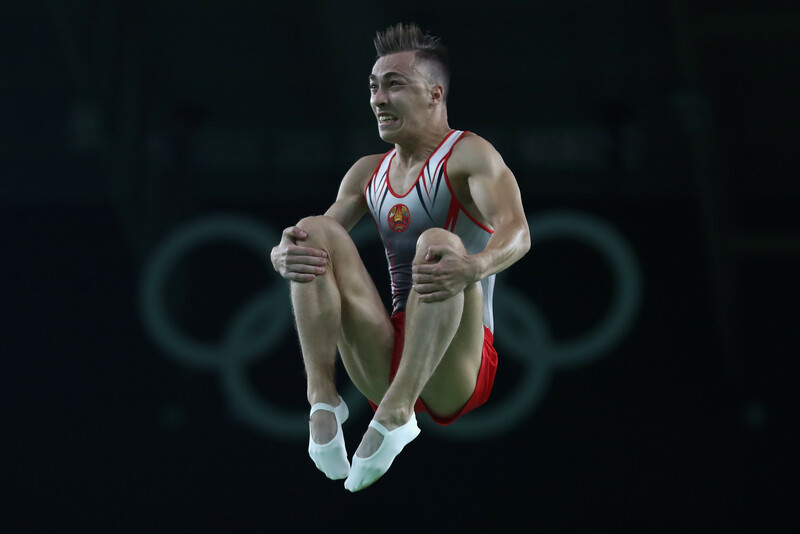 Uladzislau Hancharou won Belarus' first gymnastics gold medal when he took the men's trampoline title at Rio 2016. They have won 11 gymnastics medals at the Olympics in total, with four silvers and six bronzes accompanying Hancharou's gold. "Taking into account the fact that the next Olympic Games will take place in Japan, in my country, do not hesitate to ask for my assistance," Watanabe said, according to Belarus' officials news agency BelTA. "I want to be of help." Lukashenko awarded Watanabe with the honorary sign of the NOC Belarus, reportedly for his achievements in promoting the ideals and principles of Olympism. During the FIG World Challenge Cup event at Minsk's Falcon Club, Belorussian gymnasts won 10 medals including two golds, five silvers and three bronzes. Yekaterina Galkina clinched gold in the ball discipline and bronze in both the hoop and ribbon events. Alina Gornosko collected silver medals with the ball and the ribbon. She also won a bronze medal with the clubs and the individual all-around silver. Two silvers and a gold were won by the hosts in group competitions. The event provided many of the competing athletes an opportunity to hone their preparations for the 2017 World Rhythmic Gymnastics Championships, due to take place from August 30 to September 3 in Italian town Pesaro.